Atlanta Restaurant Chain Goes Global for Haiti Relief Effort – LITERALLY!!! 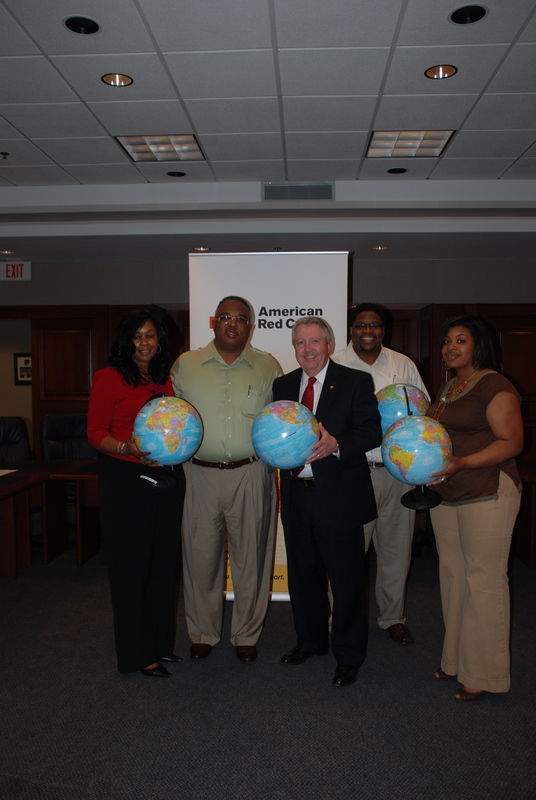 Metro Atlanta Red Cross CEO Tim English (center) receives cash filled globes for Haiti relief effort presented by "This Is It" restaurants owner Butch Anthony (left-center) and other members of the Anthony family. 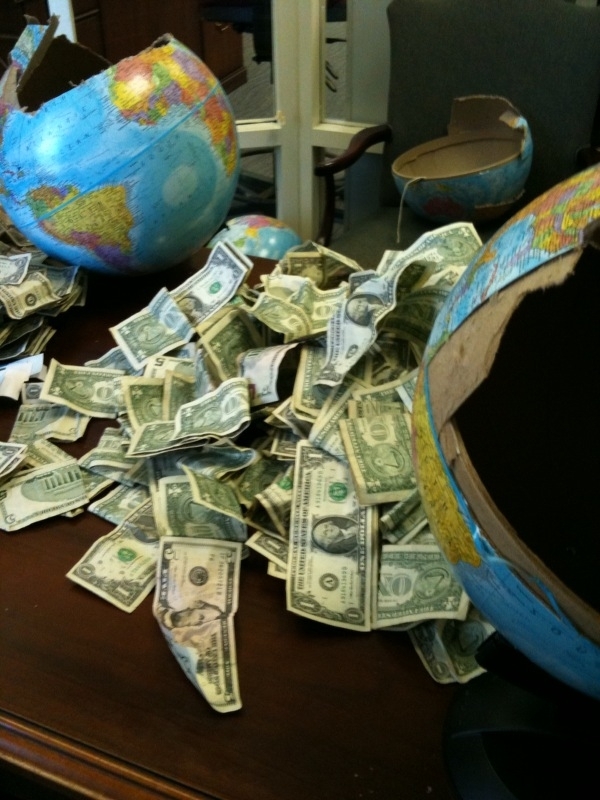 Cash filled globes for Red Cross Haiti relief effort. Atlanta, GA – April 16, 2010 – Social Enterprise restaurant group THIS IS IT! BBQ and Seafood wrapped up a three-month Help for Haiti campaign on Thursday, April 1, 2010, by presenting six Terrestre Globes to American Red Cross CEO Tim English. Putting a unique spin fundraising for the Red Cross Haiti relief effort, the restaurant group reconfigured six huge globes into collection boxes just after the Haiti earthquake(s) and customers literally STUFFED THEM with cash! The fundraiser started Wednesday, January 27 – and school kids, church groups, and customers stopped in to offer support. Butch Anthony also made a surprise donation in honor of his teenaged daughter, Angel Anthony, a student at Sandy Creek High, killed in a car crash last December, after a friend lost control and hit a mailbox. This Is It! has locations across Metro Atlanta – in Fulton, Dekalb, Fayette, and Cobb County. The company is one of the oldest Southern Cooking restaurants in the Southeast.